Silver Dollar City motels in Branson are in the turquoise colored section of our area map . Situated along Hwy 76 and Hwy 265 around the Silver Dollar City area these motels are well suited for that family fun vacation centered on Silver Dollar City. 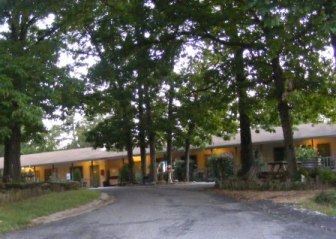 The individual motels offer more than close proximity to Silver Dollar City but are grouped with the area name due to their location. Nestled among the trees and the hills of the Ozarks these Branson lodging choices are just up the hill from Branson and along the roads to the lake. Amidst the cabins, resorts and campgrounds of the Silver Dollar City area you can relax for a peaceful night after the daily fun of Branson and Silver Dollar City. 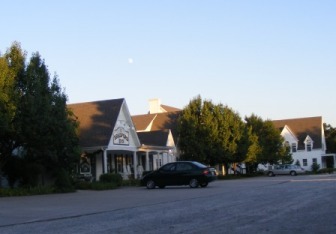 The Silver Dollar City Motels place you in a great location for getting around the Branson area. Good highways can take you right into the heart of Branson or through the hills around Branson. Downtown on the other side of the entertainment district is an easy drive on the Ozark Mountain Highroad (Hwy 465) or a fun cruise along Hwy 265 across the lake to Hwy 65. Silver Dollar City Motels offer a really good access regardless of the activities that you have planned. Advertises "clean" & "immaculate" rooms / 40 mile view with great view overlooking Branson / Amazing sunrises and sunsets / close to Silver Dollar City and Branson-Great access to all of Branson and lakes / Pool / Sun & Observation deck / Picnic Area / BBQ's / Next to "Country Barn Gift Shop"
South of the Silver Dollar city parking area is the Deer Run Motel. Classified as a resort as well this is the closest you'll get to Silver Dollar City. 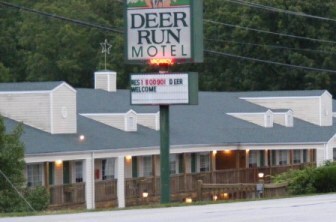 If your plan is to spend a lot of time at Silver Dollar City and maybe a little lake time you'll want to consider the Deer run Motel & Resort. Whether you're seeking economy or upscale lodging the Silver Dollar City motels give you great choices for a Branson vacation. Even though they are perfect for that Silver Dollar City vacation they also make great choices if you want to return to quiet evenings in the Ozark Mountains after a day packed with Branson activities. 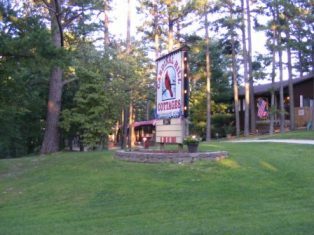 The Silver Dollar City motels make a wonderful residence if you are thinking of day road trips through Ozark Mountain country. A comfortable drive through the hills, a cruise down to Eureka Springs or Springfield or just a day meandering through the shops of the Ozarks the Silver Dollar City motels will be places you'll enjoy returning to.